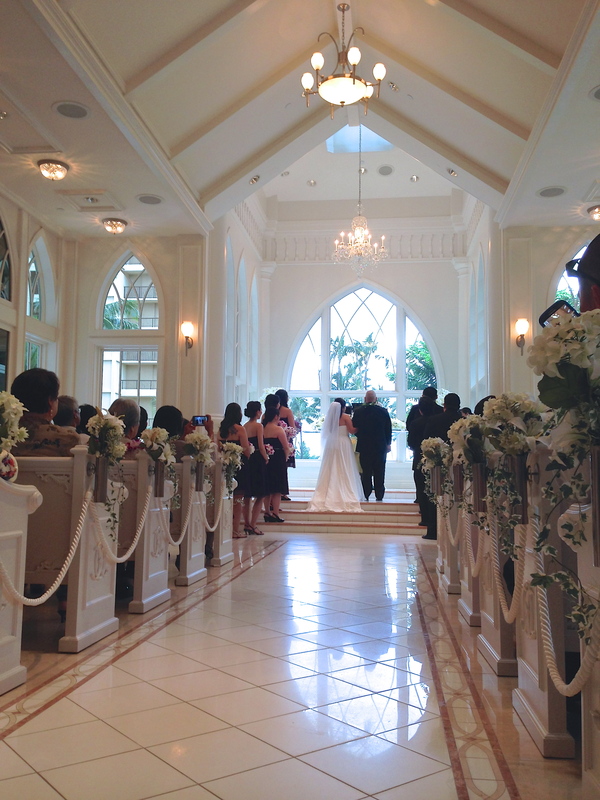 Congrats to Lisa and Scotty who tied the knot on Friday at the Crystal Chapel, Hilton Hawaiian Village. 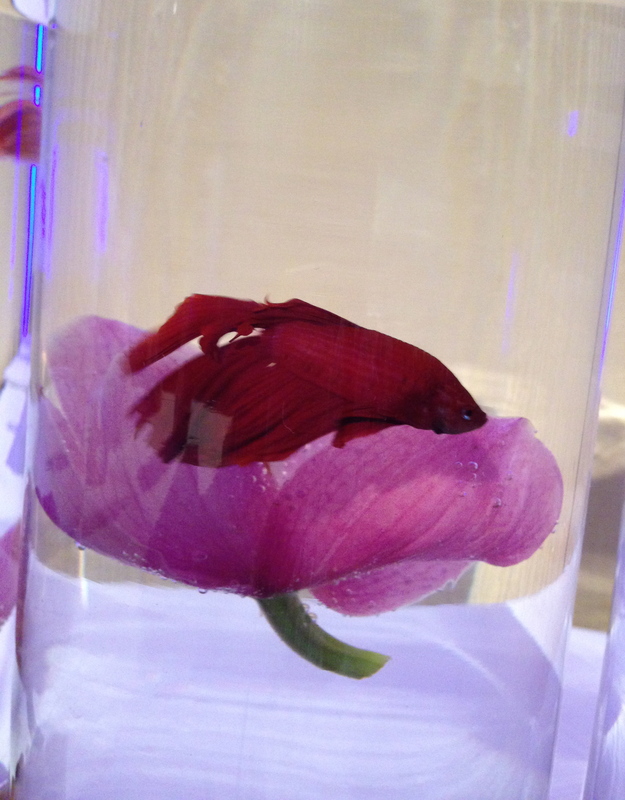 It was a beautiful wedding ceremony and a fun reception filled with good food, crazy games, and really cool fish centerpieces! Everyone we spoke with said it was definitely a night to remember and this couple deserved nothing less! Best Wishes to you both and Thank you for trusting us with such an important day 🙂 Cheers to your “Best Day Ever”! 2. Use your mother’s wedding gown or veil. 3. Detach a button from your grandfather’s favorite jacket or a piece of lace from you mother’s bridal gown and sew it to the hem of your bridal gown. 4. Have your Hawaii groom wear your father’s cuff links. 5. Have your priest use your family prayer book if you’re having a church ceremony. 6. Reuse your old personal childhood pillow (or teddy!) as the ring bearer’s pillow. 8. 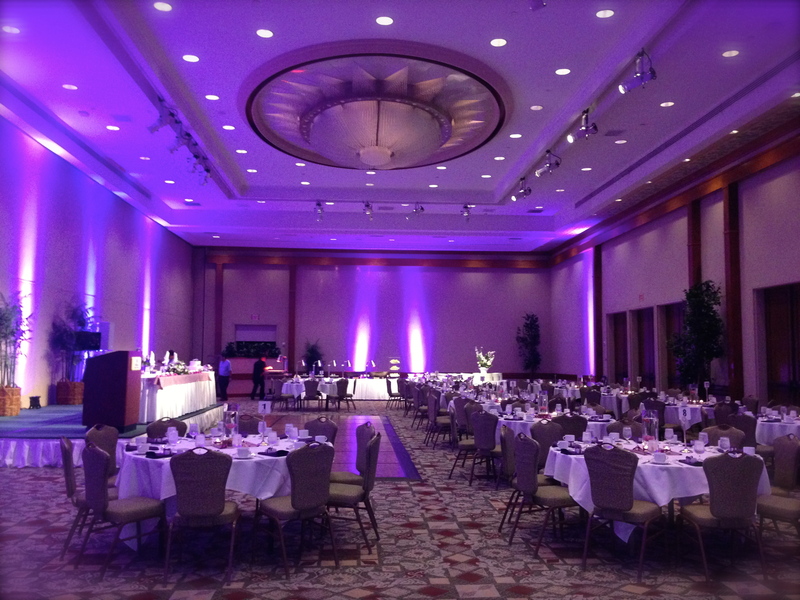 Display a picture from your parents or grandparent’s wedding day at your reception. This would also be super cute in a vintage frame! 9. 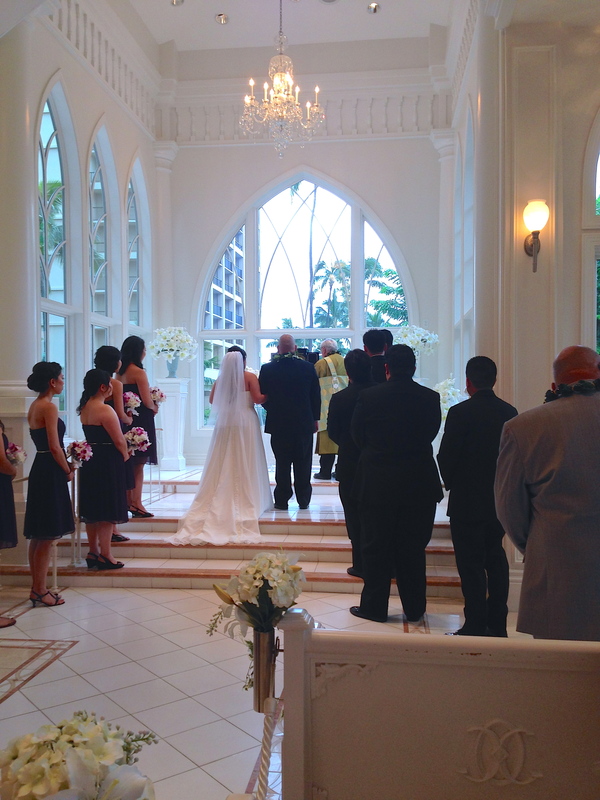 Have your wedding ceremony or reception at a historic Hawaii location. 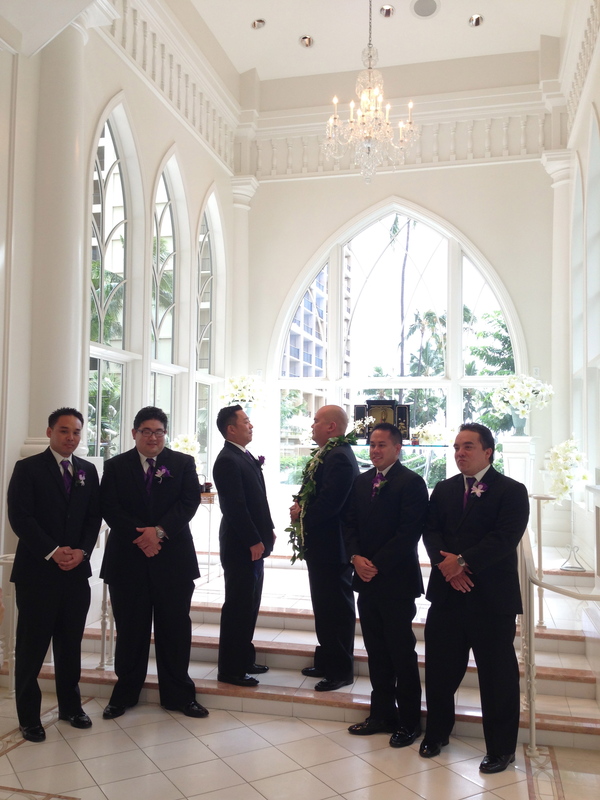 Think about the Iolani Palace or Bishop Museum. 10. Arrive to your ceremony in a vintage car. Happy Monday everyone! Stay tuned tomorrow for tips and ideas on incorporating “Something New”! Horray! 🙂 The big day has finally come! Today is Tehani and Hank’s Best Day Ever! 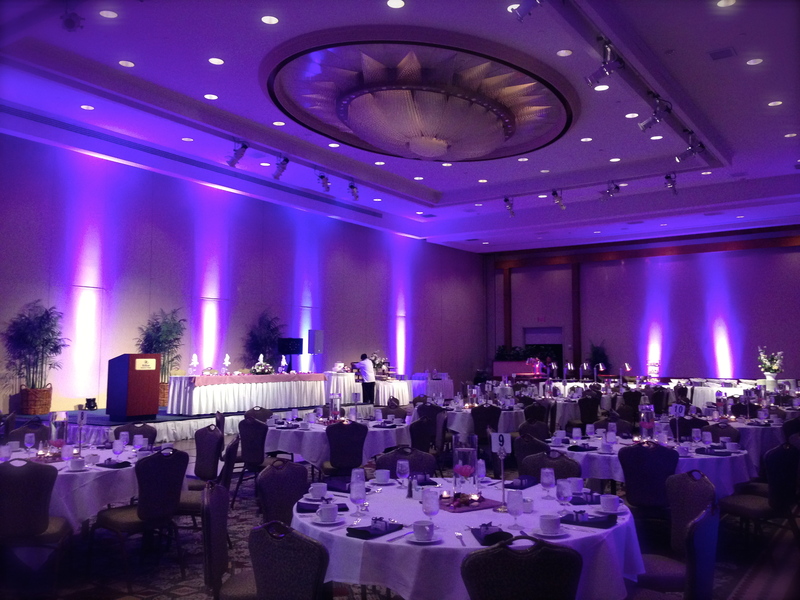 We can’t wait to see all the details, and over a year of planning, come together ~ Happy Wedding Day Tehani and Hank! Today is Grace & Grant’s Best Day Ever! Yay! 🙂 Super excited for Grace and Grant who are going to be celebrating their Best Day Ever (wedding day) today at the Halekulani Hotel, Hau Terrace! Can’t wait for the celebrations to begin! 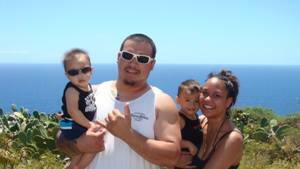 Hawaii’s Premiere Wedding Planning Team! Today is Heidi & RJ’s Best Day Ever! 7-1-13! Very excited for Heidi & RJ’s wedding today! Festivities don’t officially begin until later this afternoon, but we’ll be headed out to Ko’olina within the hour to begin set up for this fabulous tiki-chic style wedding. Coconut candles, tiki gods, lei trees and “Aloha Signs” it’s going to be so fun to see everything come together! Tiffany, one of our interns, will be coming out to help for the occasion. It’s her first official wedding and she’s in for a treat because this is going to be one heck of an event! Congrats to Heidi and RJ! We can’t wait! Celebrations at The Trump Hotel tonight for Barron & Kate’s Best Day Ever! Today is a very special day for Barron and Kate! We’ve just started packing up and getting ready to head down to The Trump Hotel, Waikiki, to help prep for the Big Event! Can’t wait to see how it all turns out 🙂 Cheers to Barron and Kate’s Best Day Ever! 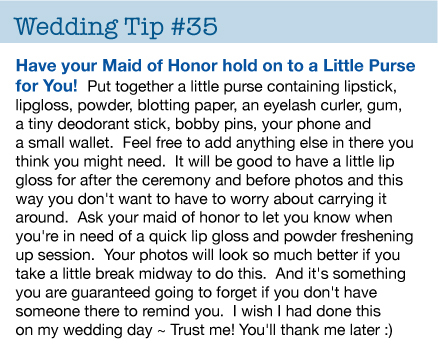 Wedding Tip of the Day Wednesdays! Do you have a dessert that you absolutely love but are reconsidering serving it at your wedding because it’s too messy? If so, here’s a wedding tip I think you’ll love – Instead of the traditional wedding cake – why not work with your caterer to creating some supe cute, easy to eat, Dessert Sticks! 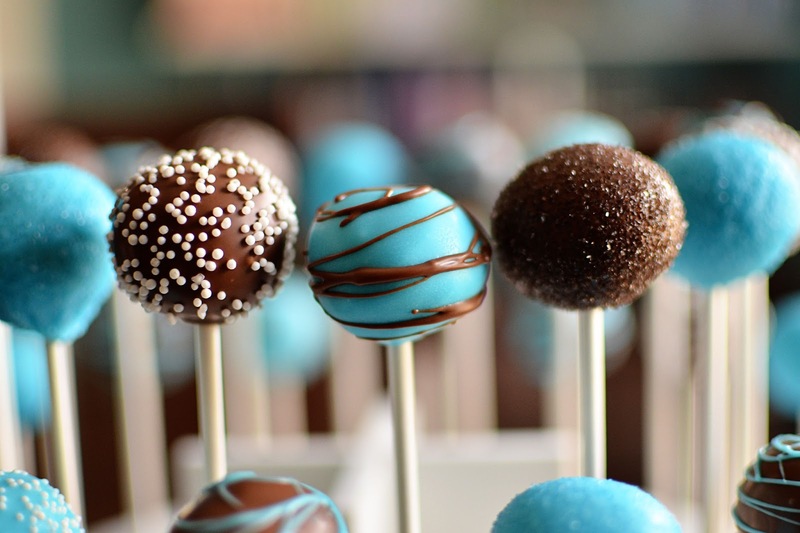 Here’s an idea on how to transform your favorite desserts into the perfect little bites! Think hors d’oeuvre sized portions of your favorite sweet treats. Guests can try a bit of everything or stick with their favorites they won’t be limited to one option. My favorite part is that these are one bite wonders, guests will be picture ready in seconds! Caramel apples- cute for fall! 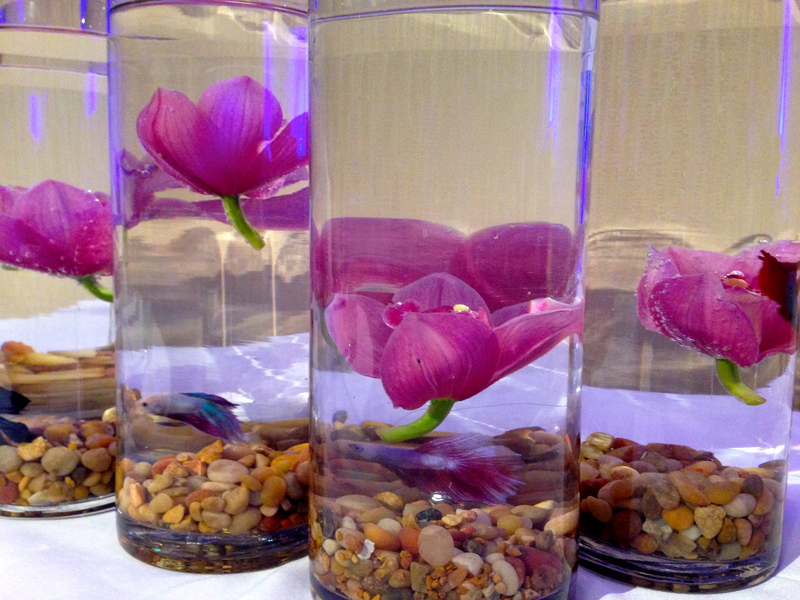 These tiny options are great for outdoor receptions! No loose plates, napkins or utensils blowing away in the hawaii breeze. Pick up a stick and you’re ready to walk around and mingle with your guests! So cute right?! Thoughts? We’d love to hear them . .
Hope you’re having a wonderful Thursday! Richie & Kristin’s Best Day Ever! 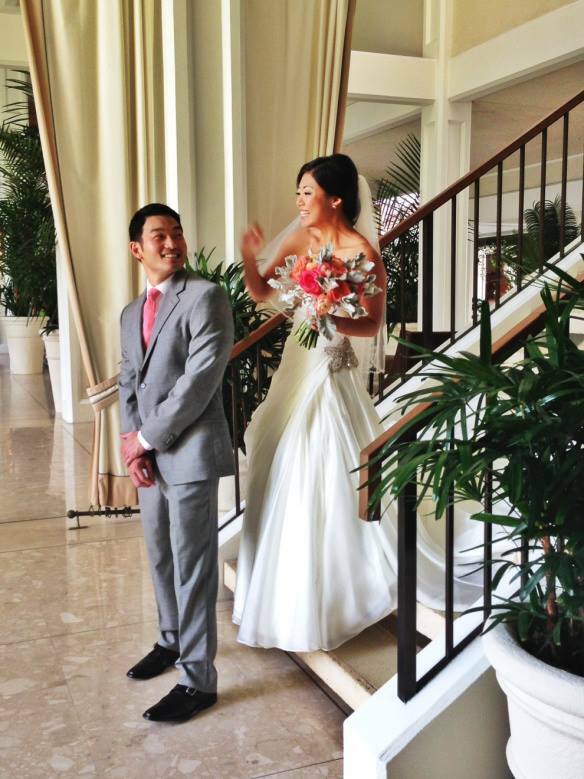 The Perfect Hawaii Wedding! 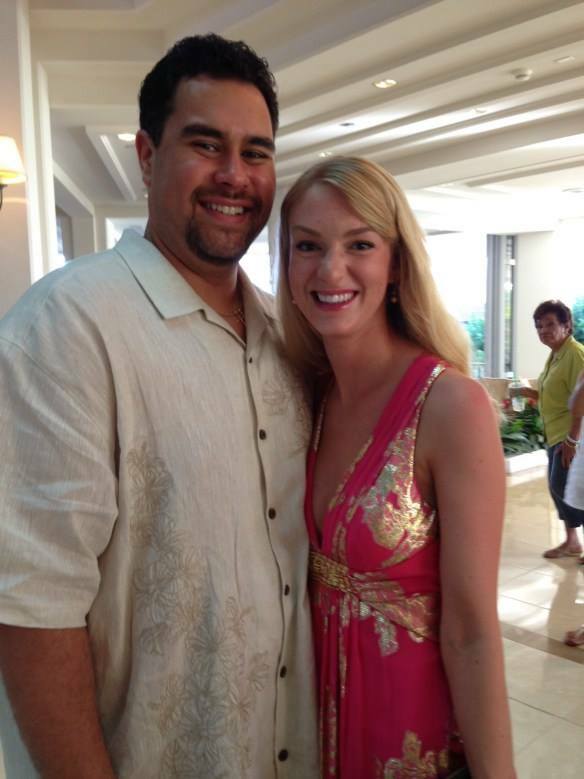 We had the pleasure of meeting Kristin & Richie several months ago when they had just started their wedding planning. We clicked immediately and realized both Erika and I knew the two of them through mutual friends and through college. They were the sweetest couple and an absolute joy to work with. 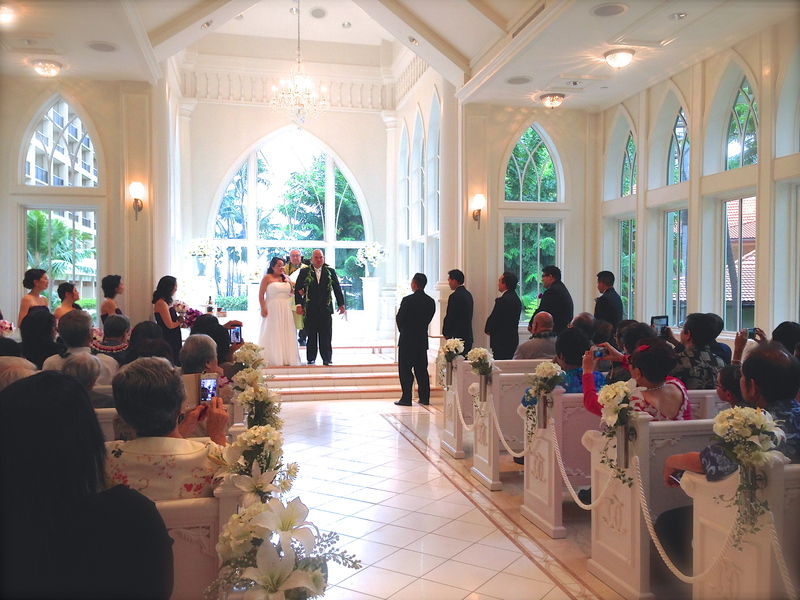 They decided to book a Partial Wedding Coordination with us and from April through December 2012, we helped them book vendors and organize a ton of details all to create the perfect Hawaii wedding. Richie & Kristin met about 3 years ago through mutual friends. The had crossed paths yet did not officially meet until one very special football game. From the beginning it was obvious that they were the perfect match. Friends started noticing Richie was obviously more than a little enamored by Kristin. And one wouldn’t blame him with her big smile and gorgeous looks. To top it off, she was a complete sweetheart. The two dated for about 2 and a half years before he popped the question on Kristin’s birthday. And that’s about where we stepped into the picture. From going over design concepts and figuring out how to incorporate a rustic feel, to choosing the perfect flower arrangements to fill Richie’s 86 homemade wooden boxes, to sorting out their nearly 400 count guest list, to attending meetings and creating very detailed timelines… we were there throughout the entire process and helped the two stay on task and organized. It is rare to find a couple as in love and completely perfect for each other as these two and it was an honor to be a part of their special day! Kristin & Richie ~ we have grown to love you guys and wish you nothing but the happiest happy ever after – you guys deserve nothing less! 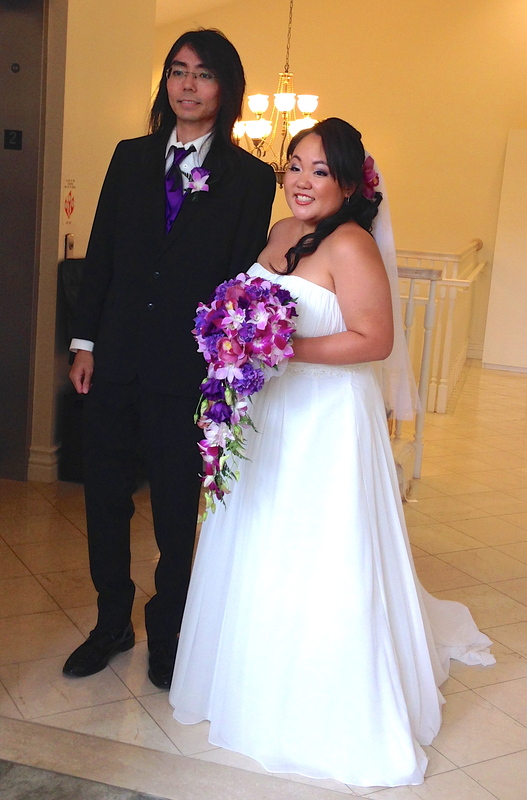 Thank you Kristin & Richie for trusting us with your wedding day! 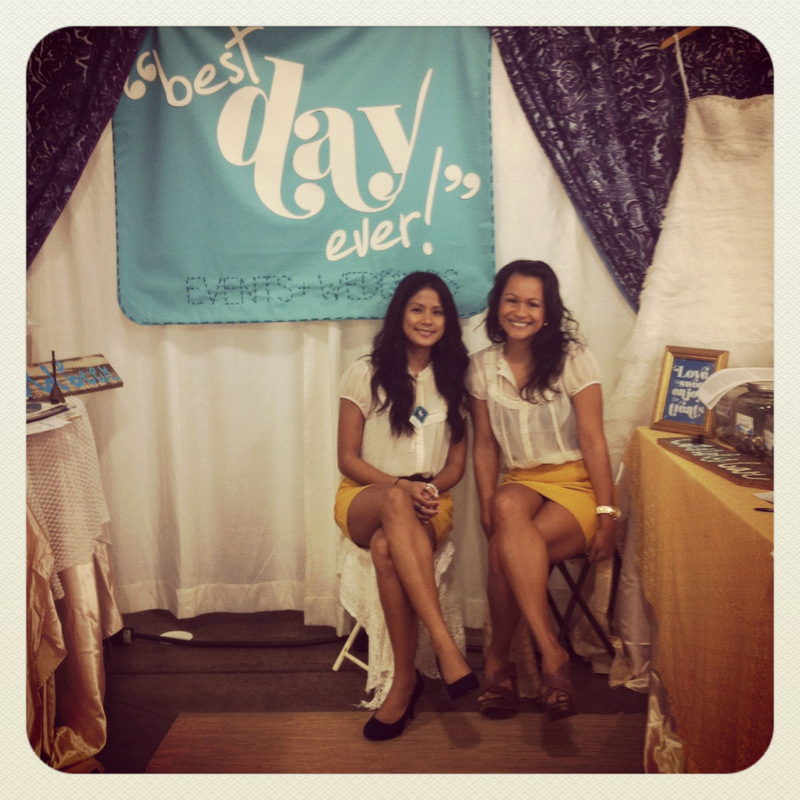 We loved being a part of it and hope it was everything you had envisioned and more! Thank You to all of our Vendors! Thank You to an Amazing Wedding Party & to Richie & Kristins family! Now on to the good part, the photos! The Halekulani Hotel . . .
Christine & staff working their magic with the girls. The lovely bride opening her fabulous gift from her groom . . .
Todd (Always Flowers) & staff creating beautiful centerpieces with a mix of white flowers and natural herbs like sage, french thyme and mint. All of this fit perfectly into the wooden planter boxes, handmade by the groom. So pretty! Hawaii wedding planners Best Day Ever (us!) set up all the table settings and favors. Look at how cute the favors are! Hand cut by the bride and groom, little white dresses and suites filled with chocolate candies! Beautiful bridesmaids posing for a quick pic! The gorgeous bride and her flower girls. . . The ceremony . . .
Carol & Aileen of Flute a la Harpe, working their magic . . .
L O V E ! Horray! Congrats to Mr. & Mrs. Diaz! As the guests enjoy cocktail hour, the bride, groom, bridal party and family take a few photos at sunset. The guests waiting anxiously for the show to start. 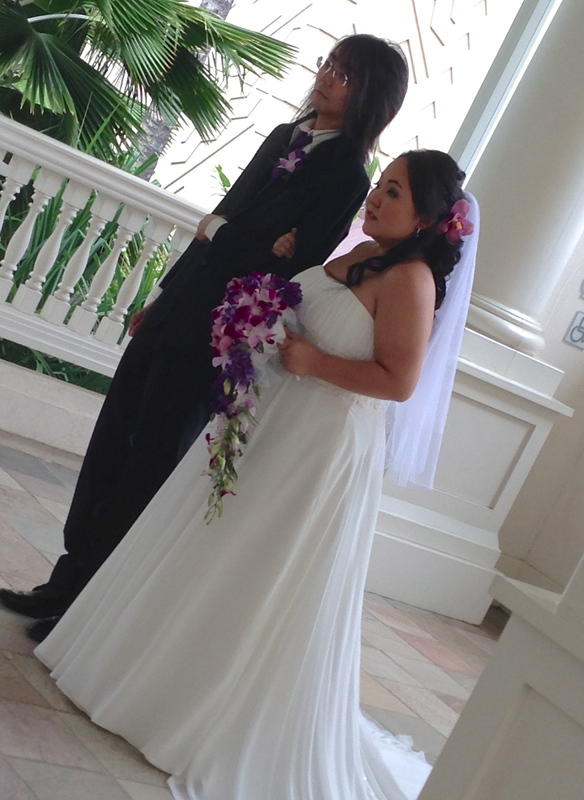 . .
Ben & Maila did a fabulous job setting the tone! The First Dance. 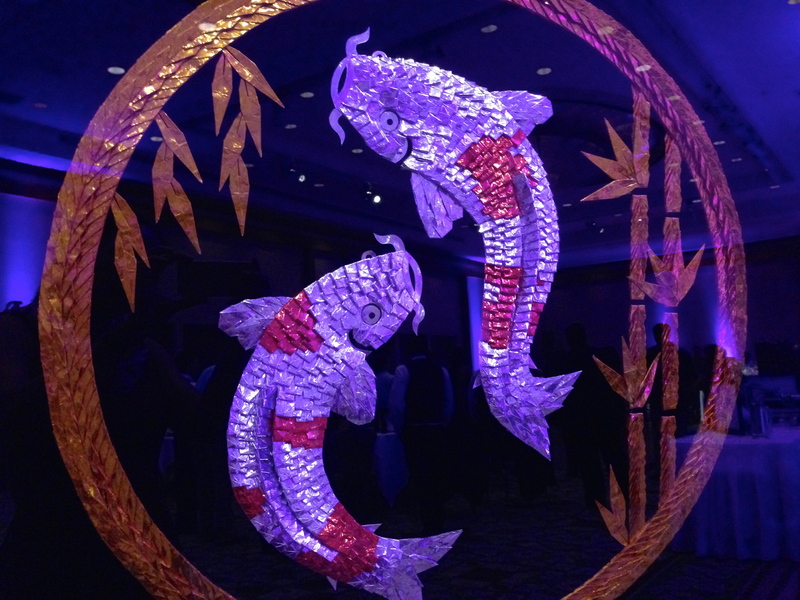 . .
“Double Happiness” ice sculpture, created by the Halekoa Hotel staff. . . 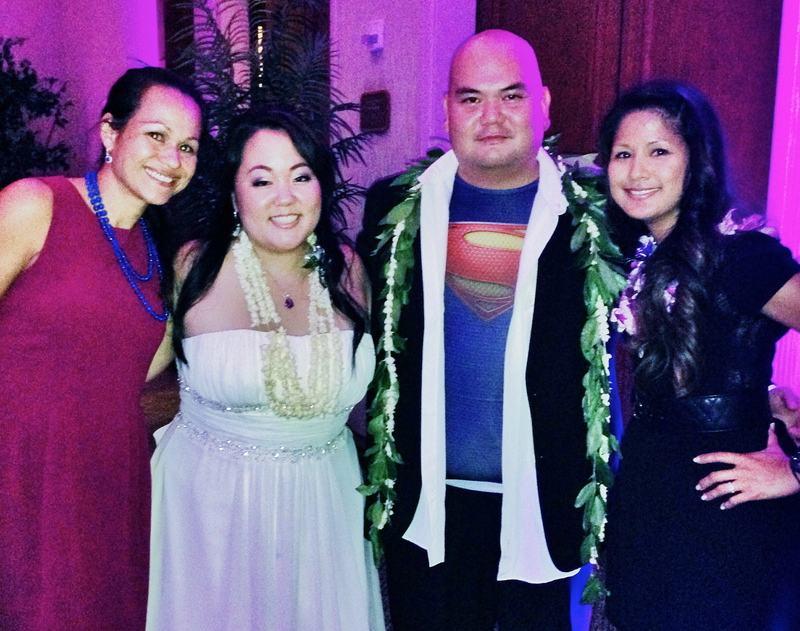 The bride & groom with Hawaii Wedding planners – Best Day Ever! Congratulations Mr & Mrs Richie & Kristin Diaz!